68 Rhosmaen St, Llandeilo, Carmarthenshire SA19 6EN. 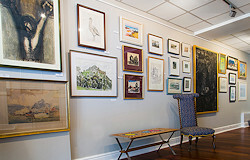 Oriel Mimosa Fine Art gallery is ideally located on the main road through Llandeilo, and features many resident artists including Aneurin & Meirion Jones, Beatrice Williams, Donna Crawshaw and James Anthony. We also have various original pieces from well-known names in Welsh art; Sir Kyffin Williams, John Knapp Fisher and Josef Herman. 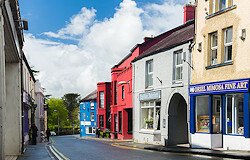 Our shop at 6 Market St, Llandeilo also offers a range of original works of art and prints from many of the classic Welsh artists, as well as stocking a variety of porcelain and pottery.